Planning a Football Trip to Berlin? Free guide – where to stay, eat, drink and how to get tickets & to the stadium. The guide is focused on the Mitte, Prenzlauner Berg, Friedrichshain and Kreuzberg areas of Berlin which is where I have visited and stayed. Berlin is an amazing large city with lots of different, distinct areas so I apologise for not including all of them but will try and add some different areas next time I return. Multiple airlines fly to Berlin every day and you are able to fly direct from Berlin from London, Glasgow, Manchester, Liverpool, Doncaster and Bristol for between £50 and £100. Berlin is served by 2 main airports Berlin Schoenefeld and Berlin Tegel. In 2015 a new international airport Berlin Brandenburg (BER) will be opened. With its opening former airports Berlin Schoenefeld (SXF) and Berlin Tegel (TXL) will be closed. The new airport (when it eventually goes into operation) will have a train station in its lowest level, with tracks for the Berlin S-Bahn and connections to the regional and national rail grid. Schönefeld train station has direct links to regional trains, the S-Bahn and buses and is only a ten-minute walk from the terminal building. For drivers: Schönefeld Airport is connected to highway A113 which leads to the city center. From the train station at Schönefeld Airport the S-Bahn lines S9 and S45 run to the city center. Travellers who want to get to Berlin Central Station can take the S9 until the station Ostkreuz and then change to the S-Bahn lines S3, S5, S7 or S75 which stop at Central Station. Between 4.30 a.m. and 11 p.m. the regional trains RE7 and RB14 called “Airport Express”, travel in 30 minute intervals between Schönefeld Airport and Berlin-Charlottenburg with stops at Ostbahnhof, Alexanderplatz, Berlin Central Station and Berlin-Zoo. It takes about 15 minutes to get to Ostbahnhof with the Airport Express and 30 minutes to get to Berlin Central Station. Note: Schönefeld Airport is located in fare zone C. To get to the city center an ABC ticket is required. Tegel Airport has no direct link to the S-or U-Bahn. The fastest way to get to the city is either by TXL Express Bus or by the Express Bus X9. Both stop right outside the terminal. The X9 Bus departs every five to ten minutes at Tegel Airport towards station Zoo which is linked to the S-Bahn and U-Bahn network. From there any destination in the city can be reached. The bus also stops at the underground station Jakob-Kaiser-Platz which is linked to the U-Bahn line U7, station Jungfernheide with connections to the S-Bahn and Ernst-Reuter-Platz which is linked to the U2. The journey takes about 20 minutes. Fare: 2.40 Euros one way. Children at the age of 6 to 14 years pay 1.50 Euros. The bus travels in five-or ten-minute intervals between Tegel Airport and Alexanderplatz. Depending on the time of day the ride from the airport to Alexanderplatz via Berlin Central Station, Brandenburg Gate, Unter den Linden/Friedrichstraße takes 30 to 40 minutes. Fare: 2.40 Euros one way. Fare for children between 6 – 14 years: 1.50 Euros. ShuttleDirect.com has proved a hit with internet-savvy travellers around the world. Here’s why: Over 1000 routes to the major holiday destinations in 18 countries, and more destinations being added all the time. We are confident we have the best prices for transfers on the internet. Instant Confirmations. Most transfers are booked and confirmed immediately. It’s easy to travel by train from London to Berlin all in one day using a morning Eurostar to Brussels, a high-speed Thalys or ICE train to Cologne, then Germany’s luxurious high-speed InterCity Express (ICE) onwards to Berlin. Pride of the German Railways, ICEs travel at up to 280km/h (175 mph). Tickets start at around £50 via Voyages SNCF. Eurolines provide coaches to Berlin from London. They offer an overnight service leaving London around 14.30 and arriving at around 9:30 the next day. It takes between 9 and 10 hours to drive to Berlin from Calais. Book tickets via DFDS Seaways. Berlin’s public transit system will take you almost anywhere you want to go, taxis are generally easy to catch and bike rentals make it possible for you to tour the city as you please: Whether you just want to quickly get from A to B or prefer to take your time and explore the city’s sights, Berlin offers you all sorts of possibilities for getting around. Be it by taking a train, taxi or bike, mobility is a breeze in Berlin. There are three different pay zones for public transit in Berlin. Zone A covers all areas within the S-Bahn circle line, while Zone B goes to Berlin’s city limits. Zone C covers Berlin’s nearby surrounding area (e.g. Schönefeld Airport, Potsdam, Oranienburg). If necessary, you can obtain a combined ticket that covers zones AB, BC and ABC. The regular rate applies to adults, while the discount rate applies to children aged 6 to 14. Children that are under 6 years of age do not require a ticket. Here all the important route networks are available for download. For more information visit the websites of the respective public transport operators. The Olympiastadium is built on the site of the Grunewald horse race track, it opened in 1909 and had a capacity of 40,000. In 1912 Berlin succeeded in its bid for the Olympic Games of 1916 and started to build a national stadium. The stadium featured 11,500 seats and standing room for another 18,500, the swimming pool stadium had a capacity of another 3,000 and opened in 1913. The games never took place due to World War 1 and the stadium was used instead as a military hospital. In the late 1920s, plans for hosting the Olympic Games in Berlin once again emerged. Werner March developed a design for remodelling the National Stadium into a sports arena with a capacity of 65,000. This time the beginning of the Great Depression crushed the dream. But in 1930, during the 9th Olympic Congress of the IOC in Berlin, Theodor Lewald officially announced an invitation for the Olympic Summer Games of 1936. The IOC was impressed with Berlin’s city landscape, its many sports parks and the general enthusiasm for sports. When Adolf Hitler was made Chancellor on January 30th 1933, the discussions about building a new stadium were suddenly directed into a different direction. The Nazi regime quickly understood the valuable propaganda opportunity the Olympic Games presented. The demolition of the horse race track and the National Stadium began in March 1934. The huge mass of soil created by excavating the construction pit, were used to erect the western main stand, on the Maifield. Hitler had decided that the construction should be supervised by the Imperial Ministry of the Interior. The XI. OIympic Summer Games officially began on August 1st 1936 at the Olympiastadion Berlin and closed on August 16th 1936 with a grand closing ceremony. A total of 3,956 athletes, among them 328 women, from 49 nations took part in the competitions. The most successful athlete was James Cleveland “Jesse“ Owens, who won four gold medals – 100m and 200m sprints, long jump and with the American 4x100m relay. The (unofficial) nations’ ranking was led by Germany with 33 gold, 26 silver and 30 bronze medals, followed by the USA (24/29/21) and Hungary (10/1/5). In 2000 a plan to renovate the stadium was commenced. 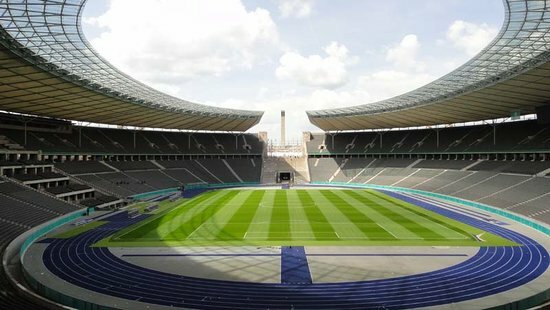 The renovation was carried out without closing the stadium: Despite the stadium being a huge construction site, the National Soccer League games of Hertha BSC, the annual DFB FA-Cup Final Matches, and (starting in 2003) the home games of the NFL-Europe team Berlin Thunder were staged. The Walter Bau-AG had guaranteed a total of 55,000 seats for sporting events, for the DFB FA-Cup Final Matches, a total of 70,000 seats were made possible. Only the Golden League track-and-field meeting ISTAF had to move to the Ludwig-Jahn-Sportpark. On September 8th 2004, the German national soccer team played their first match at the new stadium – the team led by federal coach Jürgen Klinsmann managed to hold its ground against the Brazilian team by playing 1:1. The final completion of the stadium and the surrounding areas continued until 2006, when the stadium was well-prepared for the 2006 FIFA World Cup and the sports highlight of 2006: The final match on July 9th at the Olympiastadion Berlin. The largest single-purpose football stadium in the German capital Berlin. It has been home to football club 1. FC Union Berlin and its forerunners since it was opened in 1920. The stadium’s capacity was last redeveloped in 2009 and expanded in 2013. Some of the redevelopment work was carried out by over 2,300 Union Berlin supporters volunteering their services. During league matches the arena features a total capacity of 22,012 including 3,617 seats whilst the rest of the ground remains terracing. The stadium became also known for events like the annual “Weihnachtssingen” (Christmas Carols Event) and the “WM-Wohnzimmer” (World Cup Living Room) in 2014. Underground train – The underground train (U-Bahn) U2 takes you directly to the station Olympiastadion. It’s only a short walk from there to the stadium (East Gate entrance: 500m, South Gate entrance: 870m). Average travel time: 14 minutes from Zoologischer Garten, 24 minutes from Potsdamer Platz, 34 minutes from Alexanderplatz. Above ground train – The above ground train (S-Bahn) S5 take you directly to the station Olympiastadion. It’s only a short walk from there to the stadium (South Gate entrance via exit Flatowallee: 200 m, East Gate entrance via exit Trakehner Allee: 250m). Average travel time: 7 minutes from Spandau station, 14 minutes from Zoologischer Garten, 22 minutes from Friedrichstrasse, 26 minutes from Alexanderplatz. Bus – With the bus lines M49 and 218 you can reach the stop Flatowallee. It’s only a short walk from there to the stadium. With the bus line 104 you can reach the underground station Neu-Westend. From there you can either walk directly to the stadium or take the underground train and exit at the station Olympiastadion. If you reach Berlin by train and arrive in Berlin at the main station, take the S-Bahn S3 direction Erkner. From the S-Bahn station Köpenick (handicapped accessible), it then takes about 10-15 minutes on foot along the embankment to the stadium. From Berlin-Lichtenberg station, take the S5, S7 or S75 in the direction of Spandau or Potsdam Hbf to Ostkreuz (two stops). There change the platform and use the S-Bahn line S3 as described above. Note for wheelchair users: At the moment Ostkreuz station is being extensively reconstructed, there are no elevators yet. Visitors with disabilities therefore please change at Ostbahnhof. Tickets for games are generally only available a few weeks before each match. The majority of ‘big’ games operate a priority system for members and tickets for some games, often for security reasons, are only available to buy in person from the ground. Tickets can be bought in person at the club shop (Zeughaus) on Bahnhofstrasse in the centre of Köpenick and at the smaller shop at the ground. 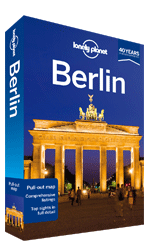 The easiest way to buy tickets for visitors to Berlin is, however, to use the online ticket shop. In the top right corner of your screen you should see the Union Flag symbol. Click that to change the language to English. For some high-demand games the club operates a ‘Secondary ticket market‘. This enables season ticket holders who are unable to make the game to offer their space/seat for sale by the club and gives you the chance to pick up a ticket for a game that may otherwise have already sold out. And to do so at face value from the club itself, rather than having to revert to a tout. I have always stayed in Mitte. Its Right in the city centre, Mitte is the Berlin of a million postcards. Horses clip-clop, buskers serenade and crowds snap the Brandenburg Gate on Prussian boulevard Unter den Linden. Its stately backstreets hide Michelin-starred restaurants, belle-époque Berlin hotels and graceful theatres. Culture buffs cross to the island in the River Spree for the Museums Quartier, bulging with treasure-filled art galleries and museums. North of the river and still in Mitte, the gold-ribbed dome of the New Synagogue glints above the Jewish quarter, Scheunenviertel, the place for falafel, courtyard boutiques and upbeat bars. Slightly east lies grandiose Communist-era Alexanderplatz square and the quaintly restored Nikolaiviertel, the medieval core of Berlin. In many cities the most cost effective accommodation choice for groups is to hire and apartment. Our sponsors Citybase appartments specialises in serviced apartments. The link below offers online apartment search and booking for destinations around the world. When planning a football trip to Berlin it is always good to know what else there is to see and do in the city. Here are a selection of the best things which I found using our sponsor Lonely Planet. Lonely Planet also has maps of the city, details of all the best pubs, bars and restaurants and travel information from the city. Sightseeing by public transport – Berlin’s city centre is very extensive and cannot be fully explored by foot. It is worth experiencing certain stretches by public transport. The number 100 and 200 buses drive past many sights from Zoologischer Garten to Alexanderplatz, so that a journey on them is already like a sightseeing tour. You can also catch a first glimpse of many sights from the S-Bahn on its raised tracks. On the stretch between Zoologischer Garten and Alexanderplatz you will pass by the Tiergarten with the Siegessäule (Victory Column), Reichstag (parliament building) and government buildings and glide between the buildings on Museum Island. East Side Gallery – After the fall of the Berlin Wall many famous artists immortalized themselves and the wall itself through a piece of art never seen before. The East Side Gallery is now the world’s longest open air gallery. 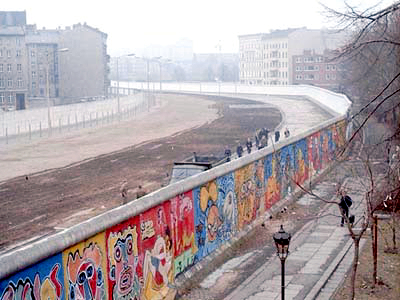 Over 100 paintings such as the famous kiss of Erich Honecker and Leonid Brezhnev can be seen here on a more than one kilometer long, still intact original section of the Berlin Wall. located near the centre of Berlin on Mühlenstraße in Friedrichshain-Kreuzberg. The Pergamon Museum (Bodestraße 1-3) is based on of the ancient Greek City, Pergamon. The museum houses original-sized, reconstructed monumental buildings such as the Pergamon Altar, the Market Gate of Miletus, and the Ishtar Gate, all consisting of parts transported from the original excavation sites. This is part of Berlin’s Museum Island which is home to five world-class museums, which cover everything from the famous bust of Egyptian Queen Nefertiti, to European paintings from the 19th century. This unique ensemble of museums and traditional buildings on the small island in the river Spree is a UNESCO World Heritage site. Stasi Museum (Haus 1, Ruschestraße 103) housed in the former Stasi headquarters of Berlin where the MFS (Ministry for State Security) ran operations for nearly 40 years. the Tränenpalast (Reichstagufer 17) next to the Friedrichstraße train station in Berlin Mitte, was one of the border crossings during the Cold War, where people could travel from East to West, provided they had the correct documentation and were admitted by the border control guards. Now a free museum, here you can learn more about the history of the border, and discover people’s stories who had first hand experience with this building, who said their own goodbyes right on this spot. ***Warning*** Berlin’s nightlife is fast moving. I have tried to choose venues that have been around a while but that doesn’t mean they will be around forever so if your planning to go somewhere and will be annoyed if it’s no longer open check before you travel. Fernsehturm – Head to the TV Tower, built by the DDR as a show of secular strength, for drinks with a supreme view. Fernsehturm, Panoramastrasse 1a, 10178 Berlin (030 2475 750, www.tv-turm.de). U2, U5, U8, S-bahn Alexanderplatz. Open Mar-Oct 9am-midnight daily; Nov-Feb 10am-midnight daily. Zur Letzten Instanz – Berlin’s oldest pub. Originally called “Biedermeierstübchen am Glockenspiel” it acquired its current name in 1924. Though, it only gained the honour by default, after all it’s rivals were nobbled during WW II, first by the RAF and then by a rather clumsy Red Army. However, one of them wasn’t going to let a little thing like total destruction get it down. Waisenstraße 14-16,10179 Berlin (Mitte). Brauhaus Lemkes – Lemke’s is a large, modern brewpub in railway arches just along from Hackescher Markt S-Bahn station. Deponie#3 (Georgenstraße 5) is a wonderful old-style Berlin tavern tucked away underneath the railway arches between the Friedrichstrasse and Hackescher Markt stations. The space used to be a tank depot for the East German army. There are two large main bars with nooks and crannies leading off, all cluttered with ancient bric-a-brac. Despite that, this is a quiet, reflective pub, like a fin-de-siècle Viennese coffee house during the day, yet with the ever-present rumble of trains overhead. By night, Dr Jekyll transforms into Mr Hyde, as coach parties of students arrive and turn the pub into hedonism central. There is a small beer garden out the back, which is as quiet a spot as any amid the bustle of downtown Berlin. The food menu is exhaustive, as are the portions. Breakfast and ice-cream seem to be specialities. There are three draught German pilsners, plus dark and light Böhmisches from the Czech Republic. These are complemented by about eight bottles, including Rothaus Tannenzäpfle Pils and their classic bestseller, Augustiner Helles (5.2%), a crisp slightly sweet lager that finishes with a little more bitterness than most Munich beers. Hofbräu Wirtshaus Berlin– The great Bavarian beerhall tradition has come to Berlin in recent years, and the most famous of them all – Munich’s Hofbräuhaus – has opened its doors right on Alexanderplatz. It’s everything you’d expect, as the spirit of Oktoberfest is invoked year-round via huge foaming beers and plates of tasty, traditional South German cuisine, and the daily specials make it a great lunchtime option. The restaurant is open Sunday–Thursday 1000–0100 and Friday–Saturday 1000–0200. Zur letzten Instanz is a Berlin institution, committed after all these years to classic Berlin and Brandenburg cuisine, served in a cosy, friendly atmosphere. Highlights of the menu include traditional Berliner pork knuckle served with cabbage, or meatballs in caper sauce, all washed down with a glass of local beer. The restaurant is open Tuesday–Saturday 1200–0100 and Sunday 1200–2200. Brauhaus Lemke am Alex, right across the street from the Alexanderplatz railway station. As well as its range of beers, it offers a food menu of regional classics, including schnitzels, stews and pot roasts. Open daily 1200–2400. Schlemmerbuffet – Taxi drivers swear by the döner at this Rosenthaler Platz institution, but they also deserve acclaim for the pizzas hurtling out of the wood oven. Schlemmerbuffet, Torstraße 125, 10119 Berlin (030 283 2153). U8 Rosenthaler Platz. Open 24/7 daily. The Hops and Barley (Wühlischstraße 22/2) name is an ode to the traditional standards that German’s hold to their craft, and this cool microbrewery, popular with locals, is like being in your own miniature beer hall. . The long tables and friendly patrons help create a communal vibe at the bar, and you can break the ice with the beer-loving denizens by betting that you can taste every Hops and Barley brew on tap. After you try their unbelievable hefeweizens and dark lagers, and are heading to the next destination, you’ll finally know why they call it bar “hop-ping”. Walk two blocks to the north end of the always-busy Simon-Dach-Strasse, and go back to the future in Astro Bar (Simon-Dach-Straße 40). The kitschy futuristic theme is reminiscent of what people from fifty years ago thought the twenty-first century would look like. There is outer-space memorabilia, little metallic robots on the walls, and the name of the tavern itself pays homage to the pet dog in The Jetsons. Between the change-of-pace setting, the DJ bumping familiar rock, and the liberal young patrons, Astro Bar is sure to guarantee a time that is out of this world. No, it’s not the countless drinks going to your head, you really are escaping the scary views of derelict industrial complexes and walking into a little piece of paradise when you reach your final stop. The tiki-themed Palm Beach (Grünberger Straße 55) with white sand, palm trees, and even a VW “surf’s-up” bus, must have been what East Berliner’s used to dream of running away to beyond the other side of the wall. We suggest you substitute the usual brew for a colorful cocktail to match the décor…or don’t, you can never go wrong with German beer. With hours extending till 7am, you can pretend you are watching the sunrise on the beach of your tropical isle. If you get to a level where you just need an insane party, feel free to take the dark stroll over to Berghain, one of the most insane nightclubs in the world – of course making use of the dodgy area by hiding itself in an abandoned power plant. Eschenbräu’s has definitely set the bar high for tasty beer in a comfy taproom. Aside from three year-round microbrews (a pilsner, dunkel, and hefeweizen), there’s a range of delicious, full-bodied seasonals, too. The outdoor garden, serving brezeln in a Bavaria-esque atmosphere, is also quite swell. Bornholmer Hütte (Bornholmer Str. 89) – This is a down-to-earth, East Berlin locals’ kneipe, founded in 1911. It is probably still frequented by former border guards from the nearby Bornholmer Strasse crossing point, which was the first to be breached when the Wall came down. It remained in private hands throughout the communist era. The decor is pure nicotine, the furnishings bare, with an impressive bar, frayed red lino flooring and a sailing ship lampshade. Our choice of beer is the consistently excellent Erdinger Weissbier Dunkel (5.6%) from Erding, just outside Munich. This dry, wheaty and roasty creation with banana and vanilla flavours may not be the locals’ choice, but it’s a perfect accompaniment for the limited and simple food offerings, including boulette, potato salad, chilli, rollmop herring, Bockwurst and Knackerwurst. Gretchen – Leave it up to the debauchery of Berlin’s nightlife scene to name a venue after a character from Goethe’s Faust who commits matricide, fratricide as well as infanticide in order to justify an illegitimate love. Set up by the same forces behind Icon, the club Gretchen intends to offer a music venue that’s larger than the dark dungeon of its now-closed Prenzlauer Berg cousin. Located in the 19th century stables of Queen Victoria’s Prussian 1st Guards Dragoon Regiment, Gretchen features a high cross-vaulted ceiling in its cavernous main room that has acoustics to match. Though it caters to a scene that is decidedly prim and hip, things easily get wild and raucous once DJs and live acts start thumping their sounds through the system. Just as Faust’s once supposedly incorruptible Gretchen found her way astray, don’t be surprised if you’re led to wildly riotous nights here. Madame Claude (6562, Lubbener Str 19, Kreuzberg, +49 177 621, Proclaming itself a “bar for common people”, Berlin’s new Madame Claude restaurant/bar/club is more like the house in Roald Dahl’s The Twits. The dining room features chairs and tables decked with lamps and tablecloths hanging upside down from the ceiling above diners. The surreal decor continues in a red room inspired by the one in David Lynch’s Twin Peaks, and has a door hidden inside a wardrobe leading through to a labyrinth of nooks. Thankfully, the free kicker table, table tennis on selected nights and live music—down in the basement, focusing mostly on experimental realms—have been kept right-side up. For these live bands, the entrance fee is delightfully pay-as-you-wish (anything between one and six euros will suffice). It’s a genuinely novel experience, but the bar might well leave you with, well, a distorted sense of gravity.